Locate your personal items (keys ,wallet, bag). Find your misplaced phone. Send SOS alert in case of danger with your GPS position to a list of predefined users. Perfect protection for kids and elderly people! Set separation alert on and get notified when your item gets out of range. Post your lost item/pet and let the SpotyPal community help you find it. View More In Item Finders. 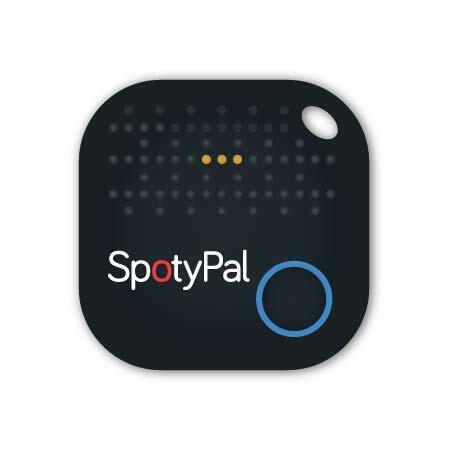 If you have any questions about this product by SpotyPal, contact us by completing and submitting the form below. If you are looking for a specif part number, please include it with your message. Apsung Key Finder, 2 Pack Wireless Anti-Lost Tracker, Anything Finder Wallet Bags Pet, Nut 3 Mini Locator App Control Smartphones. Best Tracker Bluetooth Smartphone GPS - Tracking Device. Key Tracker. Find wallet. Phone Finder. Item Search.